In February WE completed a furniture installation for Mind Candy that included over 270 workstations, 200 operators chairs, meeting chairs and a boardroom table for their new office space in Bonhill street. The F25 workstations from Forma 5 incorporated a special 1600 x 1600 worktop without a central break in the top. This encourages communication between those facing each other by not having the traditional desk screens....it also makes the desks pretty useful for setting up Scalextric and the table tennis net! As you can expect with the Mind Candy office though, the emphasis is on fun. 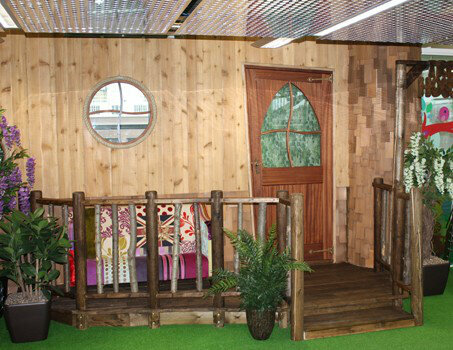 From the slide joining the two levels and the grass matting throughout the central areas, to the infamous "tree House" meeting room as seen on the main visual, the office buzzes with colour and creativity. WE supplied bespoke James Burleigh Waldo meeting tables for the boardroom and upholstered Eames plastic side chairs for some of the meeting rooms to fit in with the fun emphasis of the office.